Million of million websites and blogs blog on Internet .As a result it is very challenging to get success.But you can add few new and dynamic features on blogger or website.You can turn your website or blog text into Audio.That means your valuable visitor can read and listen your website or blog conten .You have to follow few step to add this new feature. How to turn your blog content into Audio? Now go to this site vozme.com and just copy and past few code . Go to widget Templates HTML and now click on edit and expand . Now press CTRL+F and search for span class='post-icons. Now just put their code before post-icons line and save your HTML. 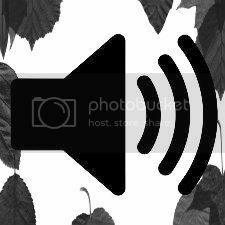 How to turn your your website content into Audio? If you host your website on wordpress platform .You can add this feature by taking few steps. Extra the compressed file and you will get a folder named just like vozme. 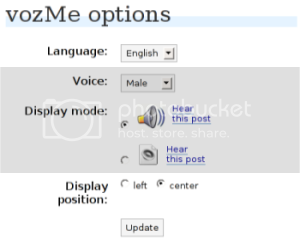 Now upload the folder vozme to wp-content/plugins/. Now go into wordpress administration tool and plugin then click the Activate link within the vozMe plugin. Now again Access option and vozMe and simply choose your favourite option. If you need any further details please leave your comments .